We started Tea in 2002 in San Francisco with 3 pima cotton sweaters and a vision of bringing a fusion of worldwide cultures and modern design to children’s clothing. We design distinctive apparel inspired by the beauty we discover in our travels around the world. From the art of traditional Korean patchwork to the graphic boldness of Brazilian street graffiti, we interpret our discoveries into beautiful, modern and consummately wearable children’s clothing for ages 0-12. We launched our women’s collection in the fall of 2010 in that same spirit. Chic, flattering globally-inspired styles to live and love in. Yes distinctive I think is the word that I like best to describe Tea. 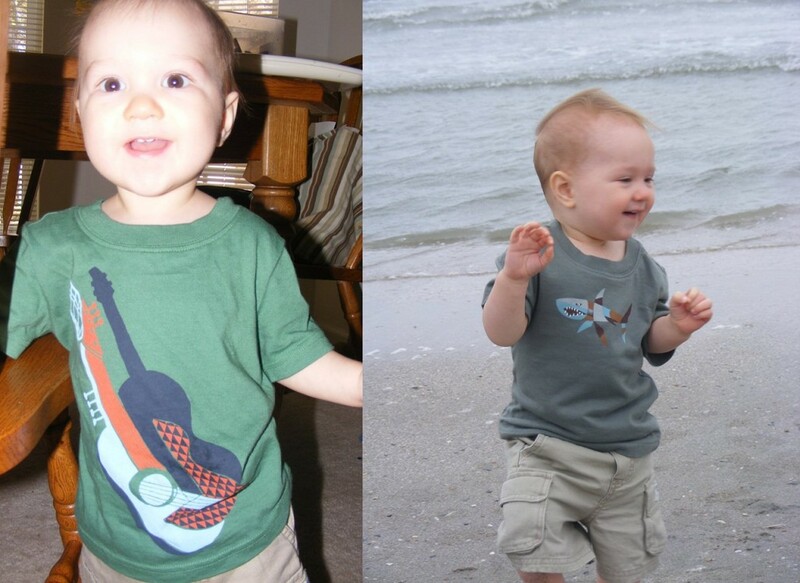 Oh how I love their Collections in their Boys Clothing lines. Here is P’Diddy in his Tiburon Tee (Don’t get too close to the tiburon, he’s actually a great white shark trolling the waters of Catalonia’s coast. And he’s jumped onto your tee) and the Guitarra Graphic Tee from the Viva El Artista Collection…Don’t you just love all the fun names? Everything is 100% cotton and super comfy. Definitely two of the first shirts I grab for in the clean laundry. We are going to wear them out! Their sizes go up to size 12 which is great because we still have a few more years left for C’Man! 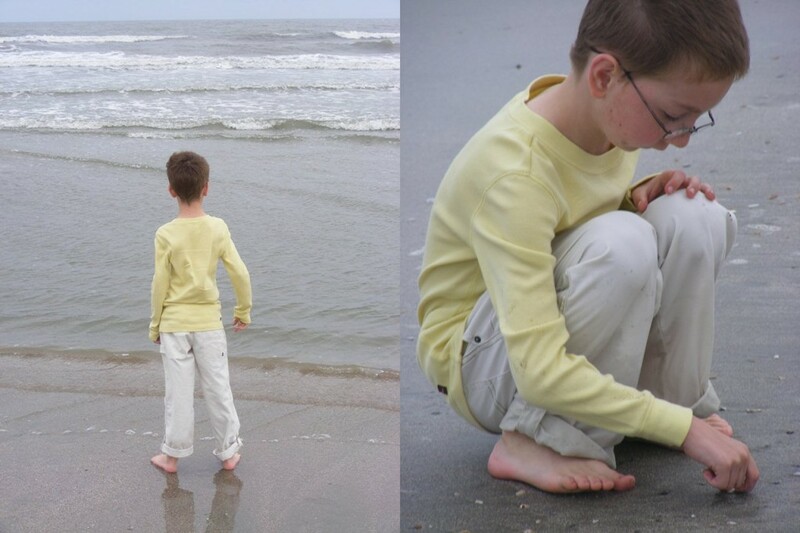 He is wearing the Painter Roll Up Pants which is PERFECT for walking along the shoreline and the Long Sleeve Purity Tee which is a boy/girl shirt and comes in many cool colors like burnt orange and kelly green. It’s soft and form fitting which looks great on his long, lanky body. Tea Collection has it all! Shoes, Pajamas, Jackets too! Get Shopping! You know you want to! Win a $50 GC to use at Tea! Tea sent me a boys clothes for this review but I was not compensated in any way for the post and all opinions are my own. I like Crunchy Beach Mama on FB. entered same contest over at 'a year w/ mom and dad'! I like Tea Collection on fb! I entered over at aywmad! entered a year contest too! I follow Tea Collection on Facebook. I entered A Year With Mom and Dad's giveaway. I entered the tea collection giveaway at a year with mom and dad. entered at a year w/ mom & dad! 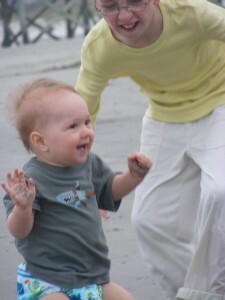 Enter my Boys Week co-host A Year with Mom and Dad who is also giving away $50 to Tea Collection! Entered my Boys Week co-host A Year with Mom and Dad who is also giving away $50 to Tea Collection! I entered A Year with Mom and Dad s $50 Tea Collection giveaway. I get your crunch bear emails. I'm a facebook fan of Tea Collection! thank you! Subscribe to your Crunchy Mail! I entered with a year of mom and dad as well. I am a facebook fan of Tea! Hi - I entered on a year with Mom & Dad. Thank you for the opportunity to enter this giveaway on your site! I'm a a BeachBum via Google Friend Connecty (Terri). I entered this $50 GC to Tea Collection giveaway at A Year with Mom and Dad. I followed with GFC. You have a great collection of giveaways right now! I get your emails (and read them ;)). Also entered at A Year with Mom and Dad.